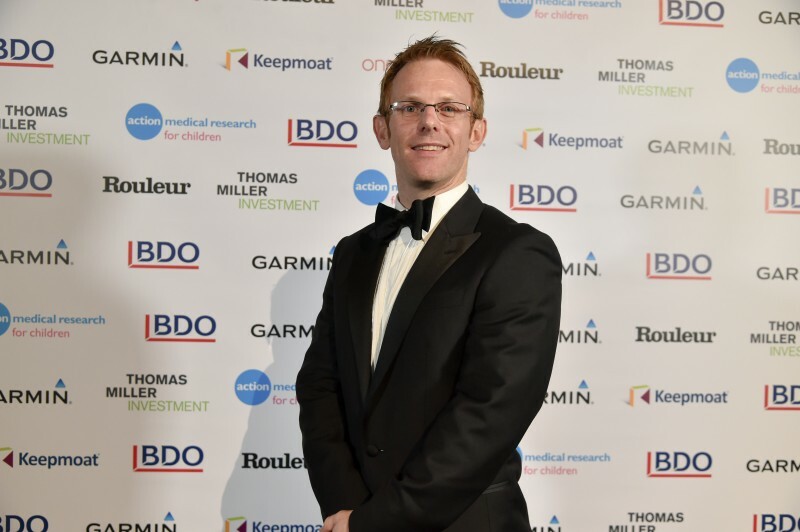 Jody Cundy, five-times Paralympic Champion and the fastest solo Paralympian on two wheels, started his career as a Paralympic swimmer and went on to win 23 international medals including three Paralympic and three world championship golds. He made the transition to cycling in 2006, excelling in the 1km time trial, team sprint and the 4km pursuit. He has won multiple gold medals on the world stage and is one of only a handful of athletes that have become Paralympic Champion in two different sports; in 2009 Jody was made an MBE for his services to disability sport. I was so pleased when it was confirmed that I’ll be going to my sixth Paralympic Games in Rio in September. The selection was announced at the Channel 4 studios, where myself and the rest of the team were introduced one by one by Chef de Mission Penny Briscoe then it was on to interviews with the press, TV and magazines. Of all the six games I’ve been named on, I can safely say that this announcement was the most high-profile and I think that’s partly due to the success of the London Games, but also the increased profile of the British Cycling team in recent years. In Rio I will be competing in the 1km Time Trial on 9 September and the mixed Team Sprint on 11 September. Going to Rio as World Champion in those two events gives me great confidence, however there’s always something special about the Paralympics that forces everyone to raise their game and after my London experiences I know to expect the unexpected as anything can happen! The days are really ticking off quickly now and I’m back in Manchester for that final run in before we head to our holding camp in Newport on 17 August. Training is going well so far. I managed a great strength block, followed by a nice top-up on endurance, and even managed to get a hit out in the 1km Time Trial at the recent Masters Nationals Championships. As an added bonus to doing a pretty strong ride I ended up on top of the podium picking up a national title! The ride was a good marker of how things are going and has highlighted that I’m not a million miles away from where I want to be, and the elements I was lacking on is what this next block of training is all about. This time in the Paralympic cycle is always the most anxious and enjoyable as you try to stay as healthy as possible, not pick up any injuries and worry about every element of training as there are not many days left to point it in the right direction if something is out. But on the plus side, we get issued with all our kit from Rio, bags of clothing to wear in the village and venues, kit to ride in and, the coolest part, our new bikes and cycling specific kit. Although we may have to wait a few more weeks as the Olympians need theirs first! It’s always a bit of a last-minute rush: I remember not even having my handlebars for Beijing until I was a few days into the holding camp, but they arrived in time and did the job! The last bit of kit that I do need to finalise is my leg. At the moment I’m using my London leg and have my Beijing leg as a back-up, however fingers crossed by the time I get on the plane to Rio there’ll be a new leg to show off too and that’s always exciting as I try and get a snazzy paint job to go with it! With a month to go it’s probably a good time to thank all the people involved in my journey to the games. My sponsors: Össur for providing me with state-of-the-art prosthetics; Alexander Mann Solutions for their continued support of my goal to win Paralympic Gold again; and Zwift who provided my state-of-the-art set-up in my spare room to assist in my training. And, last but not least, my family, my mum, dad and brother for their continued support, I wouldn’t be here without them. And finally to my girlfriend Stacey, who puts up with my moaning and the days when I’m tired and grumpy, but never ceases to put a smile on my face. Thank you to everyone and hopefully I can do you all proud.